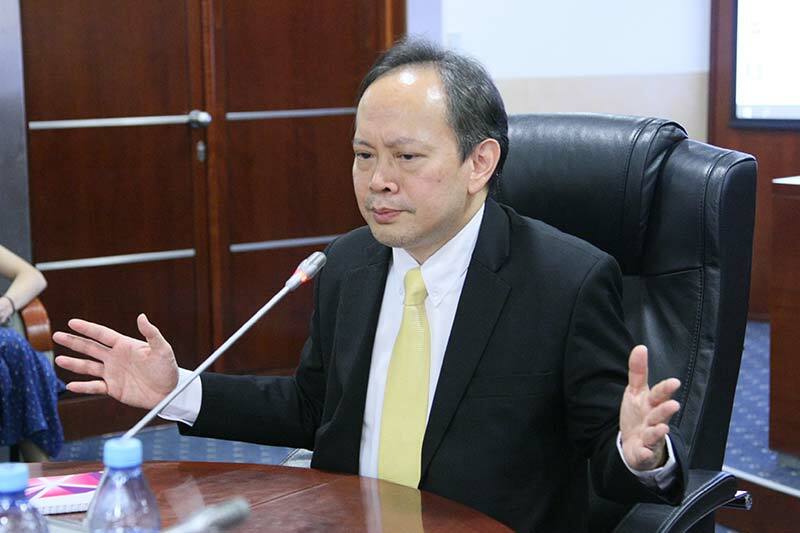 September 7th, the Director General of the ASEAN Department at the Ministry of Foreign Affairs of Thailand Suriya Chindawongse came to MGIMO University to give a talk devoted to Thailand's foreign policy and the country’s presidency of ASEAN in 2019. The guest was greeted by MGIMO’s Vice-Rector for Graduate and International Programs, Andrey Baykov. During their interview, the sides spoke about bilateral relations, cooperation in education and the work of the University’s ASEAN centre. In his talk, Suriya Chindawongse went over the history of ASEAN, pointing out how the development of the organization changed international relations in the region and its members’ foreign policy. The diplomat described the work of ASEAN and Thailand’s plans for its upcoming chairmanship of the organization. Mr. Chindawongse also spoke about relations between Russia and Thailand, and explored the ways to develop them further.